Does Hollywood Fear the Great Dictator? 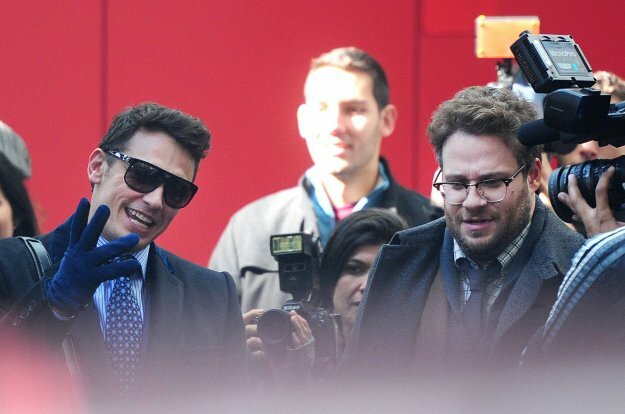 The new comedy The Interview starring Seth Rogen and James Franco will undergo some alterations prior to release. North Korea isn't all too pleased with the prospect of a film that makes fun of the country and its political leader and now it seems like the studio is actually acting on it and trying to defuse the situation a little bit. The film seems to feature a scene that shows Kim Jong Un's face melting in slow motion. This might be removed and according to a Sony spokesman, it is not due to possible censorship problems but more a consideration whether this rather brutal scene is actually funny enough. According to officials, Sony Japan did not pressure the US division to make alterations here. At least the buttons seem to be a necessity, though, since they depict a living person. The theatrical release date for The Interview was pushed in the US from October to Christmas 2014. Now that's a present.